This is one to file under 'something we knew but finally have confirmation of' - Epic has revealed it is no longer actively developing Unreal Tournament. 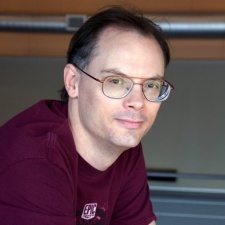 That's according to the firm's boss Tim Sweeney, who told Variety that the team shooter was still available but developers aren't working on the project anymore. Given that the last time Unreal Tournament was updated was in, um, July 2017, that's hardly a surprise. At GDC this year, we found out that the team working on this project was the same set of developers who made Fortnite's battle royale between July and September 2017. "Unreal Tournament remains available in the store but isn’t actively developed,” Sweeney said. “Unreal Tournament is the ninth instalment in a first-person shooter franchise created by Epic Games and Digital Extremes in 1999. This latest instalment was announced in 2014 as a sort of opensource development version of the game. But as Fortnite’s popularity increased with the release of its free Battle Royale mode, resources were pulled from other parts of the studio to focus on Fortnite." All of which isn't to say that development may resume on Unreal Tournament at some point in the future, but for the time being Epic is doubling down on the monster success of Fortnite. That title has attracted more than 200m users since its launch. Unreal Tournament isn't the only victim of Fortnite's success; earlier this year, the firm revealed that development was going to end on its MOBA title Paragon. It wasn't all bad news, however, with Epic releasing all assets from that project to its Unreal Engine community. Epic has also announced off the back of Fortnite's mad performance that it is going to be launching its own storefront in the near future - one where developers keep 88 per cent of revenue. And the North Carolina firm chose a very, very good time to reveal this news.